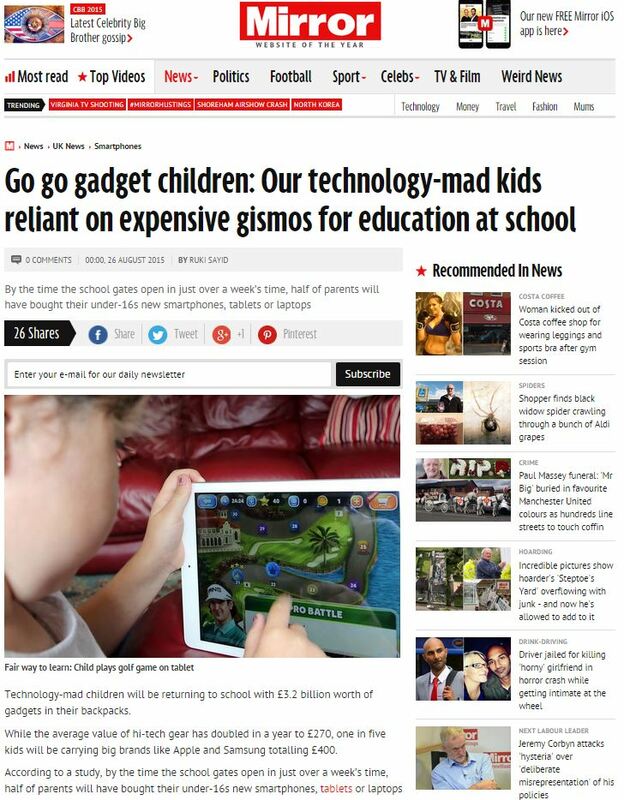 Technology-mad children will be returning to school with £3.2 billion worth of gadgets in their backpacks. While the average value of hi-tech gear has doubled in a year to £270, one in five kids will be carrying big brands like Apple and Samsung totalling £400. The start of the school year used to see children kitted out with a larger uniform and if they were lucky a new pencil case. 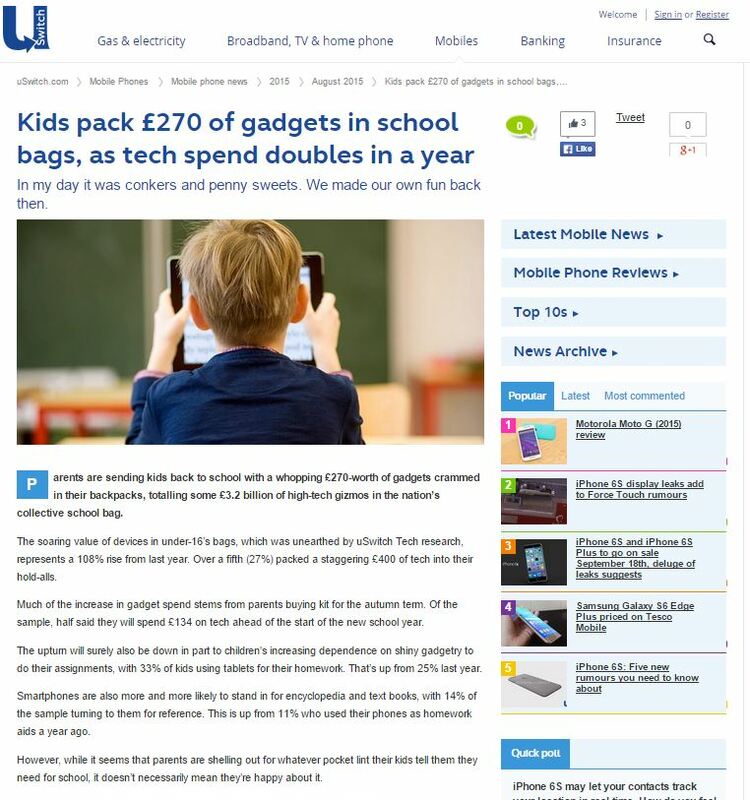 But this year pupils returning to school will be carrying an average of £270 worth of technology in their bags, while over a fifth will have more than £400 of gadgets. It suggests most pupils under the age of 16 are now carrying smartphones, tablets, iPods and laptops. 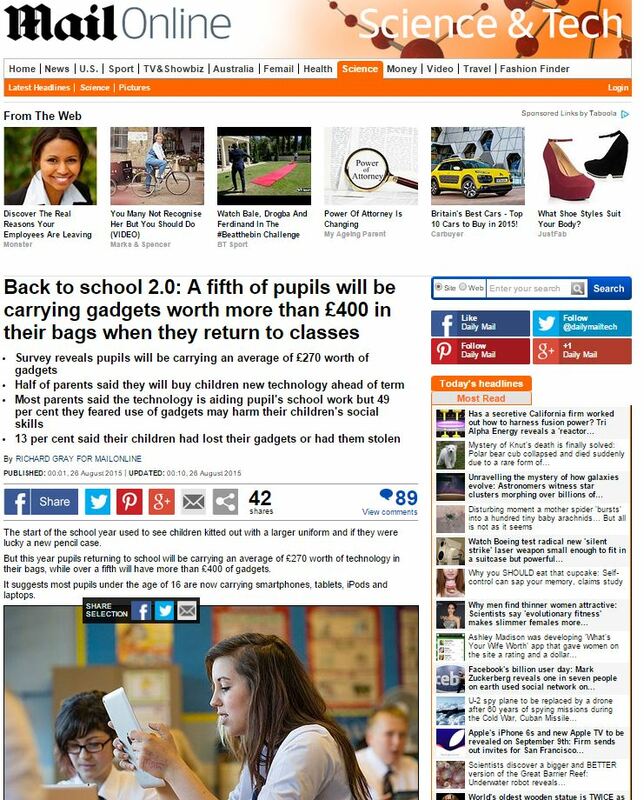 A survey by uSwitch.com, the price comparison site, found that the amount of technology expected in pupil’s bags when schools go back in September has more than doubled compared to last year. The spread of expensive smartphones tablets like the iPad among school pupils has also raised concerns over safety as teenagers are commonly targeted by muggers looking to steal smartphones. Alarming almost one in ten parents said their children have been bullied over technology while 13 per cent said they had lost gadgets or had them stolen at school. This entry was posted in uSwitch and tagged daily mail, ernest doku, Jonathan Leggett, mirror, Richard Gray, ruki sayid, uswitch on September 9, 2015 by Michael Marshall.